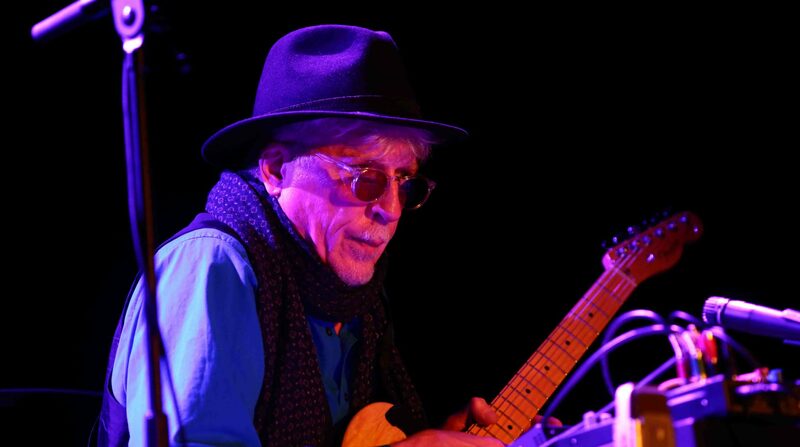 In this project, Rhys Chatham comes to the city where Guitar Trio will be presented and teaches the work to local musicians in one or two workshop rehearsals. 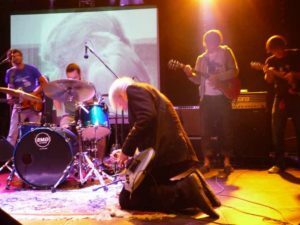 While Guitar Trio in the 70s was performed with 3 electric guitarists, one electric bass and drummer, today’s version uses a minimum of six electric guitars (including Chatham), with a maximum of ten. Plus one electric bass and drummer. The piece in its full form normally consists of two 20-minute sections, with a short break in between them. 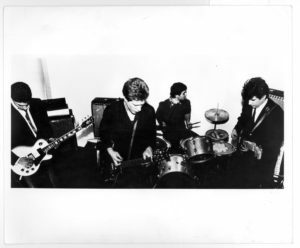 The first is performed with the band under simple lighting, the second part is accompanied by a minimalist film (projected from a DVD) made in the late seventies by the visual artist Robert Longo (who was formerly a Guitar Trio band member) entitled Pictures for Music (1979). The full set is approximately 40-minutes, but can be extended up to an hour. An abbreviated version can be performed in 20-minutes. For a full evening program, Rhys can open the Guitar Trio program with selections from his solo, Pythagorean Dream, followed by the G3 program. This opening portion can be from 20-minutes to one hour, depending on the promoter’s needs and audience.